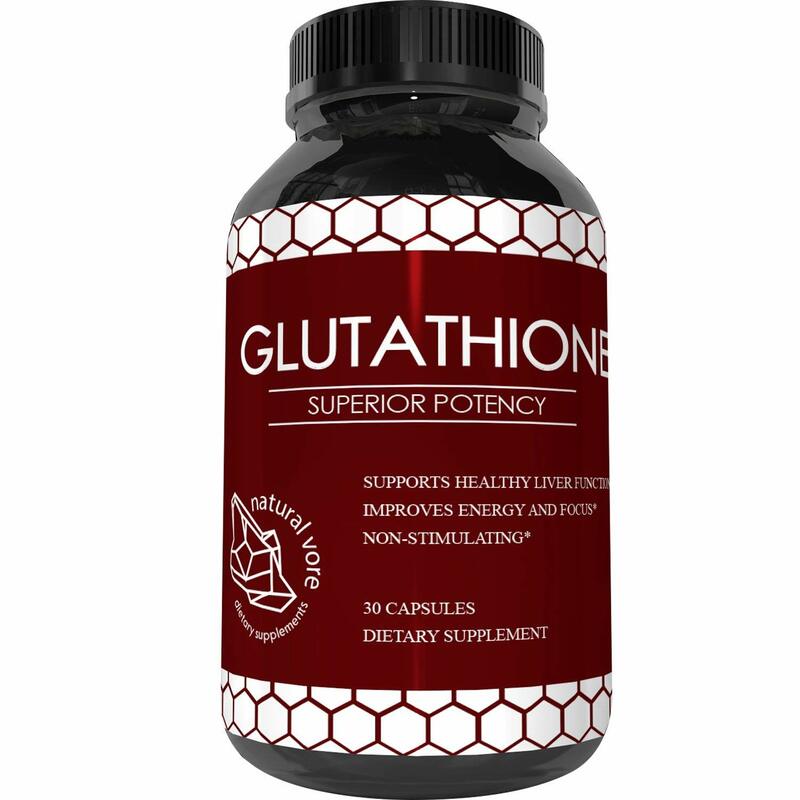 Potent Reduced Glutathione – Extra strength glutathione supplement with milk thistle extract supports better health. This herbal complex is rich in nutrients and antioxidants that your body needs to stay in great shape. Helps Whiten Skin – L-Glutathione or GSH capsules are known for their skin whitening benefits. Promote a lighter complexion while also improving skin health and enjoying potent anti-aging properties. NO BLEACHING: Bleaching means – killing the melanin. Our High potency glutathione does not KILL☠ the melanin. In fact, it protects your skin from sun damage! Best Antioxidant – Many experts call reduced glutathione the mother of all antioxidants, since it supports the function of other antioxidants in the body. This helps fight oxidative damage and prevent signs of aging. Pure Milk Thistle – One of the world’s best herbs, milk thistle extract is excellent for liver health & DETOX. Silybum Marianum has natural detox and cleansing properties, and we have also added Alpha Lipoic Acid. USA Made – All Natural Vore supplements are produced by GMP certified laboratories in the United States, using the most potent herbal extracts. We back all of our products with a 100% Money Back Guarantee, so shop with confidence! Potent. I take to heal acne scars quicker. Really does help them to fade faster. My skin tone is evening out. You will get lighter tho. I take 3 a day with VitaminC 1000. This and vitamin C have turned my world around. I’ve been constantly tired and yet not being able to really relax for years. I’ve been taking large doses of vitamin C for a week which helps immensely with energy; then a couple days ago started taking this and now I’m actually feeling relaxed and sleeping a bit better too. Repeat purchase. We’ve been using this product for, four years, and see and feel a difference in flexibility. Must combine with a healthy diet and exercise. It’s my second time purchasing it. I love this glutathione it absorbs better if you take it with a vitamin C at the same time or a bit before. Its been helping me clean and clear my skin. I notice it been making my skin a lot lighter. Which I don’t mind because my face is darker than my body. And it’s been removing all of my dark spots on my face neck and stomach.